As per BPSC official records, a total of 17, 865 candidates took the BPSC AE Prelims exam. Out of this total number, 10,106 candidates qualified the prelims stage. All the Prelims qualified candidates will now write the BPSC AE Mains exam that is scheduled to be conducted in the last week of March, 2019. The final date will be announced later. For final selection, candidates have to successfully clear all the three stages i.e. BPSC AE Prelims, BPSC AE Mains, and Interview. For BPSC AE Prelims 2019 exam the cut-off marks for general category is 66 marks, and for female general, SC, and disabled categories the cut-off is 47 marks. For ST, EBC, and BC categories, the cut-offs are 54 marks, 48 marks, and 56 marks, respectively. 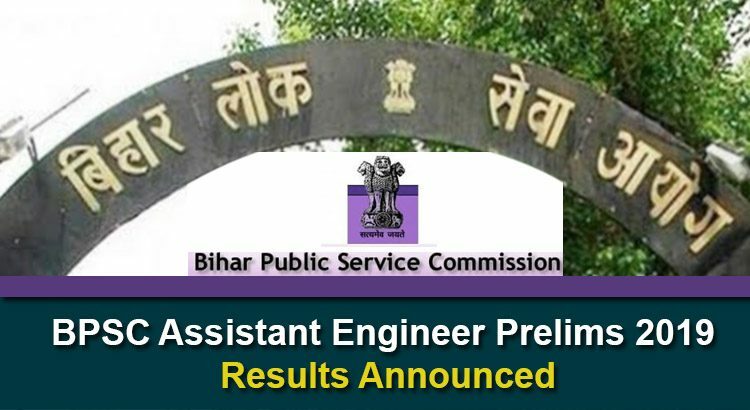 You can check BPSC AE Prelims 2019 results here. Sir,bpsc assistant engineer (civil) will start classes for mains…???? Dear student, Thanks for writing to us. Your concern has been taken into consideration. For time being, you can enroll for Conventional Question Practice Program (CQPP). Dear Hussain, Thanks for writing to us. Your concern has been taken into consideration. For time being, you can enroll for Conventional Question Practice Program (CQPP). Dear Amit, Thanks for writing to us. Your concern has been taken into consideration. For time being, you can enroll for Conventional Question Practice Program (CQPP). Sir please start bpsc mains question practice test series..we all bpsc aspirant waiting for announcement from ies master. Dear Sujit, Thanks for writing to us. Your concern has been taken into consideration. 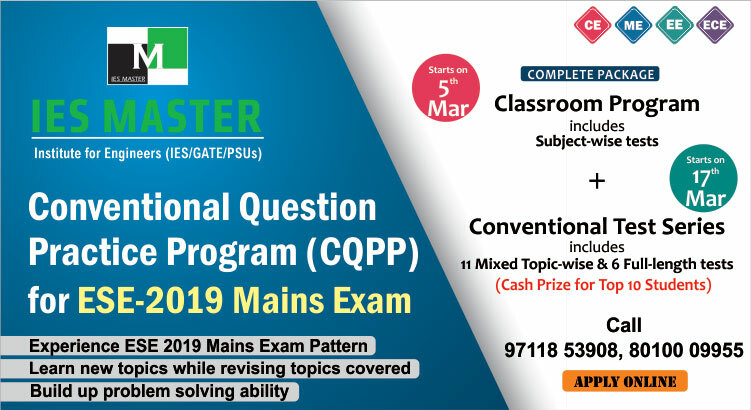 For time being, you can enroll for Conventional Question Practice Program (CQPP).